It was going to be a grind no matter how they cut it. After surging to a play-in game win, the McNary High School varsity baseball team drew McMinnville High School (23-7), the No. 1 team out of the Pacific Conference, for the first round of the state playoff tournament Monday, May 23. The Celts fell 10-1 ousting the team from the playoff brackets. Missing their starting pitcher, McNary sent Justin Burgess to the mound and Burgess responded to the challenge keeping the Grizzlies scoreless through three innings. “Justin has been getting better and better throughout the season. He’s got tremendous natural ability, god velocity and a really good breaking ball, he just hasn’t had much experience,” said Larry Keeker, McNary head coach. When the Grizzlies unloaded for four runs in the fourth inning, Garren Robinett relieved Burgess to end the inning. Robinett struggled in the fifth and handed the ball off to DJ Harryman as the Grizzlies doubled their lead to 8-0. Harryman and Travis Marks held McMinnville to two runs in the sixth, and the Celtics scraped out their only run in the top of the seventh. McNary won, 11-4, a play-in game with Glencoe High School Tuesday, May 17, to clinch a spot in the playoffs. Glencoe scored two runs in the first inning of that game on a pair of fielding errors, but the Celts responded with two of their own to knot the game at two apiece. It didn’t look much better for McNary in the second inning as Glencoe put up two more runs, but again the Celts responded to tie the game at four. A combination of figuring out Glencoe’s hitting strategy and McNary’s Spencer Rice battening down the hatches helped the Celts silence Crimson Tide bats. “Glencoe is a very aggressive team at the plate and they were swinging at the fastball early in the count,” Keeker said. “My fastball was moving and dipping in the first two innings so I started holding it differently they started hitting more ground balls and our infielders made plays,” Rice added. Rice threw 86 pitches in the complete game effort. At the dish, Burgess walloped a double and a triple while Kyle Knight and Robinett notched doubles. McNary ended the season with a record of 14-10, one of the best records for a boys team in the 2010-11 school year. The team will return more than half a dozen seniors next year. The team will lose catcher Jared Van Cleave, Knight and Rice to graduation. Jeff Auvinen, head coach of the McNary varsity softball team, expected the outcome of the Lady Celts first-round playoff game to come down to a battle of wills, but it didn’t have anything to do with the other team. “This team is of the mind that they can turn it on and turn it off, I’m not of that opinion and we’ll see whose right,” Auvinen said of the Celts in advance of the game. To the chagrin of all involved, Auvinen proved to be correct as the team was ousted from the playoffs in the first round, the result of a 3-1 loss to Sunset High School Tuesday, May 24. McNary produced a mere four hits as the team struggled to dial in on the pitches of Sunset’s Jessie Moore. In the first six innings, the Celts managed to get only one runner on base. McNary’s sole run was a homer by slugger Hailey Decker. After finishing second in the Central Valley Conference, McNary had a week off from must-win games, but the teams performance during two non-conference games was what had Auvinen in such a quandary over the team’s playoff prospects. “We didn’t pitch well, we didn’t hit well, we didn’t field well. We didn’t do much of anything very well,” he said. McNary lost to West Albany High School 7-6 Tuesday, May 17, but squeaked out a 4-3 win over Cleveland High School the following day. The Bulldogs leapt out to a 4-0 lead in the first two innings, but McNary clawed its way back into the game with a single run in the third and two more in the fifth. At the top of the seventh, McNary trailed 5-3 when Decker blasted a three-run homer that lifted the team over West Albany, 6-5. “Hailey had a huge day and kept us in it,” Auvinen said. Decker went four for four at the plate with four RBIs. A dropped throw allowed two Bulldog runs to score sealed McNary’s fate in the seventh. “We probably should have won that game, it just ame down to a mental error,” Auvinen said. Cleveland’s batters got the better of Celt pitcher Jordyn Hanson in early innings and a numerous fielding errors added to hemorrhaging of Warrior runs. If Newt Gingrich was planning to send GOP voters a message that he’s a different kind of politician who won’t just say anything to get elected, he did a horrible job of driving that point home this week. After making a so-called verbal gaffe on NBC’s “Meet the Press” last Sunday regarding radical changes to Medicare, as proposed by congressman Paul Ryan (R-Wis.), Newt was on the defensive, apologizing, backtracking and groveling to any Republican or conservative radio show host who would take his call. Ryan’s plan calls for Medicare to be replaced by a voucher system, so seniors could purchase private health insurance. Apparently, the GOP establishment doesn’t think Ryan’s plan is risky. So they pounced on Gingrich, forcing him to furiously backtrack from his initial assessment. But he’s right. The proposal pledged by Ryan is a radical one. And if you look at the reception it has received at the town halls of Republican members of Congress, you would also conclude that the plan is a whole lot for Americans to swallow. What is amazing is that we heard exactly the same complaints from Republicans about the health care reform championed by President Barack Obama. When Democrats had their hats handed to them in November 2010, leading to the loss of the U.S. House, a number said that they may have overreached with the health plan. Gingrich isn’t a dumb politician. He knows that no matter how conservative some folks are, seniors will rebel against Ryan’s plans as it is presently constituted, which could be disastrous for Republicans in 2012. And if Republicans plant their flag in the ground based on Ryan’s place, the volatility that Democrats faced in 2010 will come knocking on their door. That’s what Newt should be telling those on his side of the aisle. But instead, he thinks that denying, obfuscating and shifting blame will make the story go away. But it won’t. The reason Gingrich has been looked upon as a star in the Republican Party is because he has always been seen as a master strategist, employing the tactics he has studied as a military historian. And maybe that’s the problem. Instead of having to always say one thing and mean another, Gingrich may be best served as a thinker and not a candidate. You don’t believe me? Here is what Gingrich said in that very interview on the May 15th edition of “Meet the Press”: “One of my great weaknesses is that part of me is a teacher analyst. And part of me is a political leader. And I’ve — one of the most painful lessons I’ve had to learn, and I haven’t fully learned it obviously — is that if you seek to be the president of the United States, you are never an analyst, you know, you’re never a college teacher because those folks can say what they want to say. And somebody who offers to lead America has to be much more disciplined and much more thoughtful than an analyst. So there you go. Newt Gingrich owns up to the fact that as an analyst, he can give unfiltered truth to the issues and not have to essentially lie in order to make his political supporters happy. Sorry, Newt. I don’t think you misspoke; you weren’t talking without thinking. I believe that you were giving an honest assessment of Ryan’s Medicare plan, and it simply doesn’t sit well with many members of your party. And unfortunately for the voter, we’re left with another politician who will say whatever he needs to get elected, as opposed to the truth. If Gingrich wants us to believe Newt 2.0 is for real, stop dancing around the truth and just give it to us straight, no chaser. We’re big boys and girls, Newt. We can handle it. Oregon runners turned out in droves for the four running events that take place during the Iris Festival. In the Iris 5K run, Chris McIsaac, 23, took first with a time of 15.44:8 for the men. Tonya Lutz, 34, placed first in the women’s division with a time of 18:26.4. Raille Wilson, 38, ran the the Iris 10K in 35:56 and was crowned the overall winner of the race and his division, males ages 35-39. David Clark, Gabino Oropeza, Phil Crock, John Gallagher, Bruce Thede, Marvin Gladden, Matt Drahn, Jim Sears, Daniel Moore, Devin Perez, Dennis Holm, and Ron Larsen won their respective divisions. Stephanie Robins, 26, finished the 10K race in 43:04 to take top prize for the women. Denise Coomes, Teresa George, Stacey Janesofsky, Karisa Thede, Emily Coates, Kiana Rasubala, Arika Howell, Debbie Crosby, Cynthia Wagner, Sharyn Fetrow and Pamela Ewing won their respective divisions. Mark Rich, 49, topped the podium in the half-marathon with a time of 1:16:49. Men’s division winners were: Maruin Klopfenstein, Kyle Kuhns, Tom Box, Ray Adamic, Mike Water, Dan Schlottmann and Colton Daniels. Mariko Yokote, 34, was the overall women’s winner in the half-marathon with a time of 21:26:49. Division winners were: Karyn Woods, Terra Yates, Liz Hendrie, Nikki Wright, Gillian Cog, Kelle Little, Kaitie Brawley, Karen Wolke, Debra Johnson, Kyla Daniels and Jane Albert. 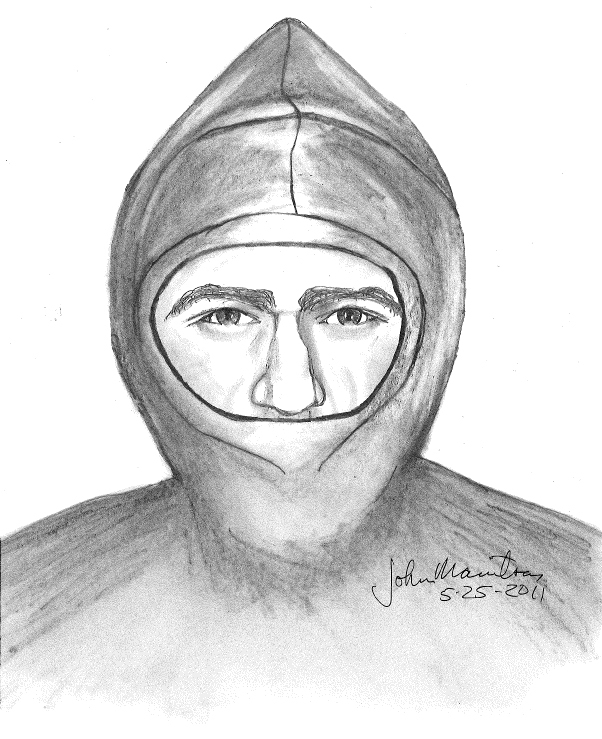 A West Keizer woman answering her door was assaulted by a man she didn’t know last Wednesday, May 25. The 27-year-old woman told police the man tried to strangle her before she was able to fight him off and he fled, Keizer Police Capt. Jeff Kuhns said. Two small children were inside at the time. The call came in at 1:50 p.m. Wednesday, May 25 to the 1000 block of Koala Street N. The victim didn’t require hospitalization but suffered minor injuries. She told police she didn’t know the man. Keizer Police established a perimeter around the area but were unable to find the suspect, who left on foot. He is described as a light-skinned Hispanic or black male with a medium build, standing 5 feet 9 inches tall, wearing a dark-colored hoodie and dark jeans. Police are asking anyone with information on who the man might be, or if they spotted him in the neighborhood, to call the agency. Of nearby schools, McNary High dismissed students while Keizer Elementary went on lockdown. Officials at these two schools along with Cummings Elementary were notified of the incident, Kuhns said. Officers from Keizer and Marion County, along with a Keizer Police dog, tried to find the man. Anyone with information is asked to call Det. Ben Howden at 503-390-3713 ext. 3525. Warren Douglas “Perk” Perkins of Keizer, OR died at home surrounded by family, Friday, May 13, 2011 of natural causes. He was born in Denver, CO on May 30, 1932. Perk is survived by his wife of nearly 60 years, Pauline “Pat” Perkins. Perk grew up in Colorado Springs, CO. He also spent in Roswell, NM, Lovington, NM, El Paso, TX, Woodburn, OR, and Portland, OR. The majority of Perk and Pat’s married life was spent raising their family in the Salem/Keizer area. He retired as a Master Sergeant of the Oregon Army National Guard after 37 years and from the Oregon Dept. of Transportation, Highway Division after 37 ½ years. He loved spending time at home with family. He enjoyed watching and playing with his grandchildren and great-grandchildren. He liked to tinker – to fix things, work on the computer and work in the yard. He was an avid reader, often devouring a book or more in a day. Perk is also survived by his children Dianne Russell, Tony Perkins (Barb) and Brenda Patterson (Bill); his grandchildren Jarret, Kira, Jesse, Amber, Amanda, Adriane, Tony Jr., Rob and Keri. He has 4 great-grandchildren; Vanessa, Aiden, Lucas and Gavin. Perk leaves behind a sister, Karen Petersen of New Jersey and nephew, George. Perk’s oldest son Mike preceded him in death. Services will be held Saturday, May 28th, 1:00 pm at Keizer Funeral Chapel, 4365 River Rd. N, Keizer. The family request donations be made to donor’s charity of choice in lieu of flowers. A Keizer woman fell in the Willamette River and may not have survived the night had Salem Police officers not found her early Thursday morning. Friends of a 29-year-old woman were alarmed after she sent them a text message Tuesday night saying she fell in the water at Keizer Rapids Park and was “cold and lost” after she got out of the river, according to Keizer Police Sgt. Jeffrey Goodman. She lost contact with her friends at about 10:07 p.m. when her cell battery died, friends told police. They drove to the park and alerted caretaker Shane Witham, who called Keizer Police. She was transported in a Polk County Marine Patrol boat to Wallace Marine Park and was treated for hypothermia, but refused hospital transportation. Along with Salem and Keizer police, the Keizer Fire District, Marion County and Polk County sheriffs’ offices helped in the search. A benefit concert for the Boys & Girls Club of Salem’s Journey to Music Program will be held Friday, May 27 at the Salem Conference Center, 200 Commercial St SE, Salem. Set to perform are Journey’s Deen Castronovo with J.F.K., and the Journey To Music Band. Tickets are available at the door for $15 or in advance at brownpapertickets.com. Doors open at 6 p.m., with the concert starting at 7 p.m.
Several donors have stepped up to replace – and then some – two recently-planted trees stolen from Claggett Creek Park. The trees were planted as part of an Earth Day project coordinated by the Claggett Creek Watershed Council and the City of Keizer. Volunteers planted three Oregon ash trees Saturday, April 16, only to learn two were reported stolen Tuesday, May 3. However, donations from the West Salem Kiwanis Club and an Aumsville resident mean the city’s getting “numerous trees,” said Elizabeth Sagmiller, the city’s environmental coordinator. “Some of the trees will be used to replace those at Claggett Creek Park, some will be used at the Claggett Creek Middle School restoration sites and a couple may even be planted at the Keizer Civic Center,” Sagmiller said. The trees were four to five feet tall and planted to stabilize the bank and provide shade to keep water temperatures down. Sagmiller said it looks like someone tried to steal the third tree, and has no idea who might have stolen the two or why. They were valued at $30 to $40. Public works employees spotted the missing trees. The larger project included adding native species along the riparian corridor of Labish Ditch at Country Glen Park and trees at a wetland mitigation site at the same park. Twenty six volunteers planted a total of 65 trees and shrubs. Volunteers included West Keizer Neighborhood Association members, a biology class from Chemeketa Community College, local Boy Scouts and interested Salem and Kezier residents. “It’s a win-win situation,” Sagmiller said. “The stream benefits from the activity, and the volunteers get to be a part of creating something worthwhile in their own area. From a personal standpoint, it’s nice to know that the volunteers involved in the original planting got a bit more recognition for their efforts through the kindness of others in the community. I can’t say enough about the volunteer efforts. Planting trees in wet spring weather is muddy business. Our volunteers were cheerful, enthusiastic, and energetic. More than 2,000 Little League pins are on display at the Keizer Heritage Museum through June 30. Harry Pease got hooked on the hobby when he was picked to umpire the Major/Senior Softball World Series in Kalamazoo, Mich., more than 20 years ago. His daughter Trina was a softball player, which drew him into the world of Little League. At the Kalamazoo tournament Pease bought about 100 pins, trading them when he got back to Oregon. Leagues and teams started issuing pins long ago, but the 1980s saw interest pick up in unique pins for states, local districts and leagues, and individual teams. Some collectors even have their own pins made. “It was nice to have something unique and different” for each area, Pease remarked. The display at the Keizer Heritage Museum represents just a fraction of his 13,000-plus pins, organized by region, states, districts and leagues. Pins can be created for individual teams, local leagues or tournaments. And if a Google search is any indication collectors take the hobby seriously. Pease started corresponding with Michigan collectors and took up reading Sunshine Pins, a publication dedicated to the pin trading community. He volunteered – and got plenty more pins – when the Little League Softball World Series came to Alpenrose dairy in 1994. Just in 2009 and 2010, Pease estimates he traded about 2,000 pins in tournaments and events in Lexington, Ky., San Bernadino, Calif. and at the Little League Baseball World Series in South Williamsburg, Pa.
“It really is astonishing,” said Sue Milletta, who’s the museum’s co-chair. Pease’s custom-made pins include the “Pease Pod” – peas in a pod. Another is of the recreational vehicle he used to travel to Little League events around the country. Still another is of an umpire bending over to sweep off home plate, a split running down the seat of his pants. All in all, with different color schemes he estimates he’s had 25 or so custom pins made. “People who are serious about trading them make their own,” Pease said. He’s what you might call a general pin collector; that is, he’ll trade to get anything he doesn’t already have. But not every trader operates that way. The furthest flung pins he owns are from Saudi Arabia and the Philippines. But even at some 13,000 well-organized and catalogued pins, he notes his collection likely isn’t even the biggest in town. One fellow “probably has more stashed in containers that he’s never looked at than I have,” Pease said. The museum is housed inside the Keizer Heritage Center at 980 Chemawa Road NE. Hours are 2 p.m. – 4 p.m. Tuesday and Thursday, and 10 a.m. – 4 p.m. Saturdays. A housefire damaged a home in north Keizer Tuesday afternoon. Firefighters from Marion County Fire Dist. 1 responded to a structure fire just after 2 p.m. Tuesday, May 24 in the 7700 block of Timothy Lane NE, in the Clear Lake area. Visible flames were coming from the garage and two small attached rooms. The homeowner was home at the time, but no injuries were reported. Firefighters were able to contain the blaze within about 20 minutes. Investigation as to the cause is ongoing.